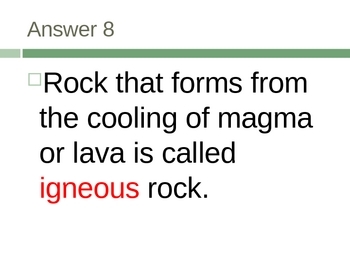 Earth Science Common Core Review Questions! Over 110 Slides! 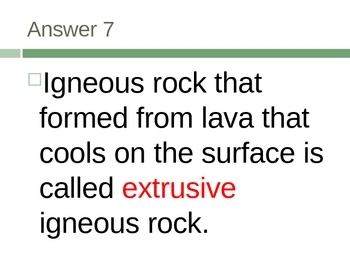 This PowerPoint has 111 slides with review question for an Earth Science class. 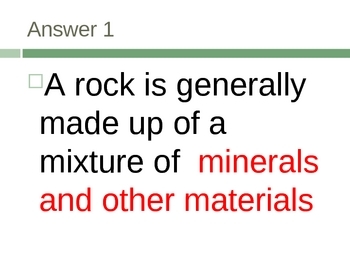 The questions are related to geology in particular the topics of rocks, minerals, rock cycle, weathering, erosion, deposition, fossils, geologic time, dating, soil, soil conservation, natural resources. 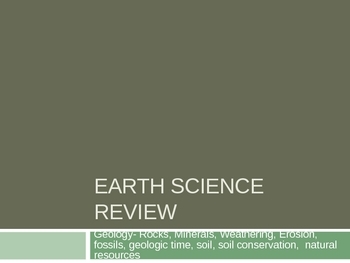 This is a great review over the major topics covered in Earth Science- Geology unit.